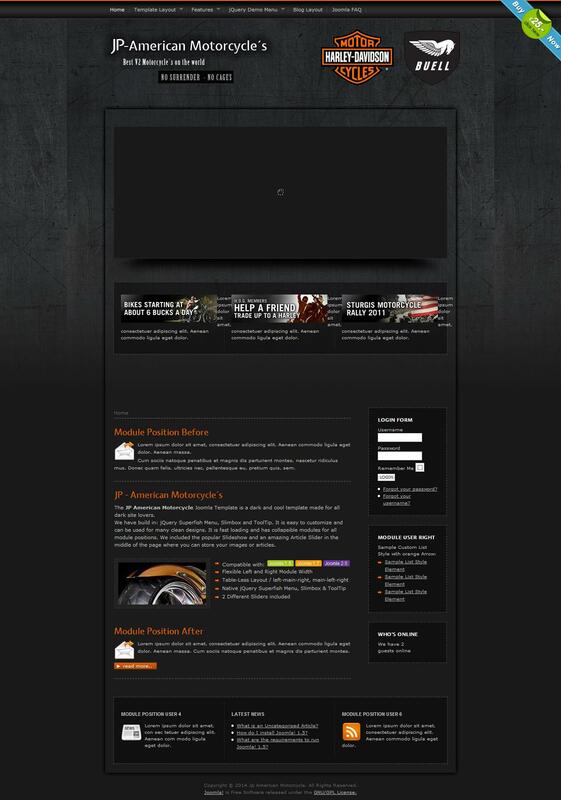 JP American Motorcycle - elegant template developers Joomlaplates, which is in the dark, pretty cool tones. In fact, the template suitable for creating any website, the basic principle when it is selected design. In template built jQuery Superfish Menu, Slimbox & ToolTip. It can be easily configured and functionally significantly extended by folding modular design. The package includes the popular module Slideshow module and Article Slider, which provide the user with a decent set of tools for placing images and materials.